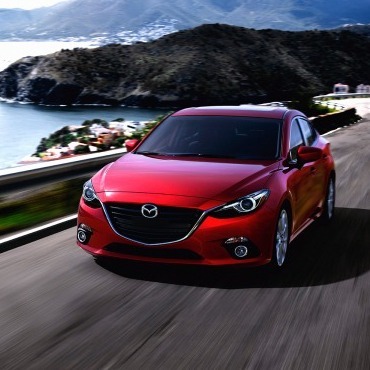 The Mazda3 compact car and BMW i3 electric vehicle each earned nominations in two of the five categories for 2014 Car of the Year in which winners will be named at the upcoming New York Auto Show, scheduled for April 18-27 in New York City. Overall, BMW received three nominations and Audi received two nominations for different cars. The only U.S. automaker represented was Chevrolet, with the Corvette Stingray. The Mazda – named in both the overall Car of the Year category and the Car Design of the Year category – was the nominee with the most affordable price tag from $16,945. The BMW i3, with prices starting at $41,350, was named in World Green Car and Car Design categories. Announced at the recent Geneva International Motor Show, other nominees for the overall title were the Audi A3, second-most-affordable from $27,270, and the BMW 4 Series, priced from $40,500. The finalists were selected from an initial list of 24 vehicles from around the world. To be eligible for the overall World Car award, candidate vehicles must be available for sale on at least two continents during the period beginning Jan. 1, 2013, and ending May 31, 2014. Other categories are the World Performance Car of the Year and World Luxury Car of the Year. Luxury – Bentley Flying Spur ($200,500), Mercedes-Benz S-Class ($92,900) and Range Rover Sport ($62,600). This was the first year for a category dedicated to higher-priced premium models. Performance – Corvette ($51,000), Ferrari 458 Speciale ($298,000) and Porsche 911 GT3 ($84,300). Green – Audi A3 Sportback g-tron (+ Audi e-gas), BMW i3 and Volkswagen XL1. Design – BMW i3, Mazda3 and Mercedes-Benz C-Class ($36,250). Now in their 10th year, the annual World Car Awards are “the number one awards program in the world” based on Prime Research’s 2013 report. The awards were inaugurated in 2003, and officially launched in January 2004, to reflect the reality of the global marketplace, as well as to recognize and reward automotive excellence on an international scale.